There are a number of good resources out there to help in making a country ham, these are a few I liked. 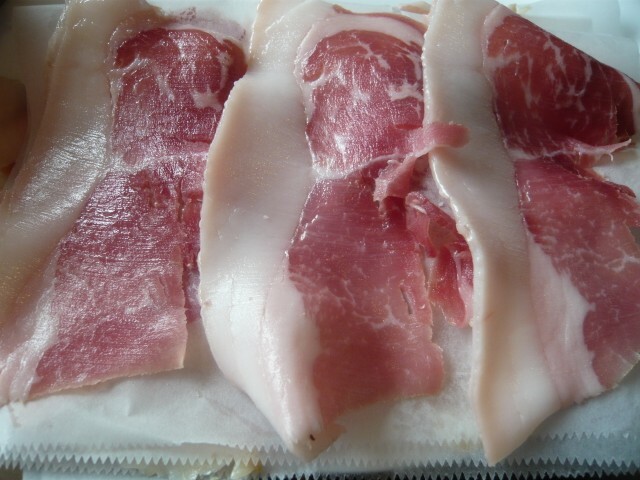 It is possible, because it is a whole muscle, to cure a country ham with salt only. I preferred to use cure # 2. 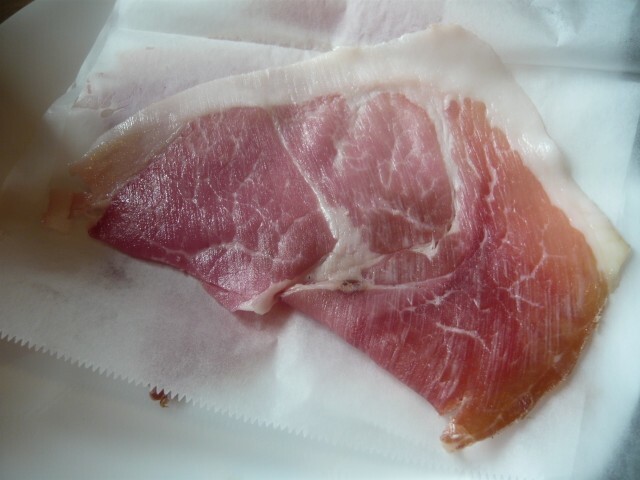 The legal requirements for a country ham are that the ham has over 4 % salt and that it loses 18 % weight. With such a large amount of salt, sugar is usually added at 1/4 the amount of salt. 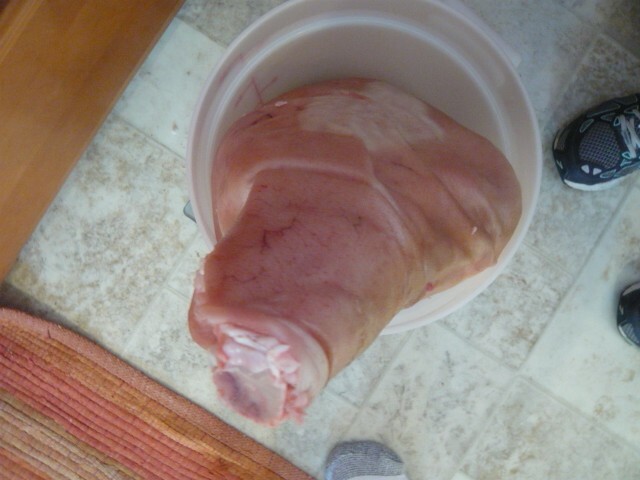 The hams are usually smoked though the process can vary widely. The bulk of the hams are sent to market sliced after 6 months. 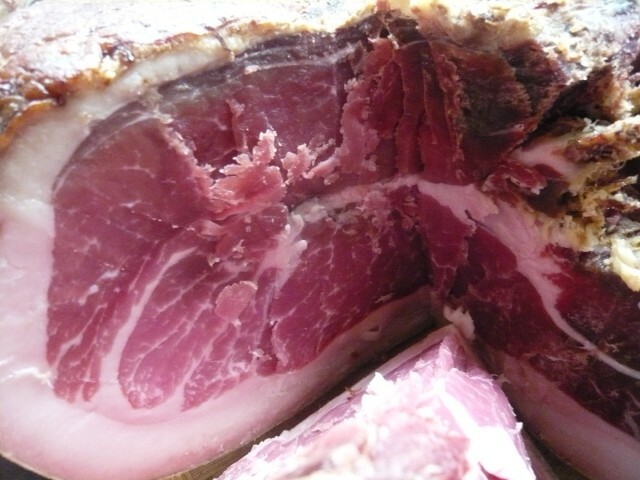 Increasingly more country hams are being held for longer aging to allow for additional flavor development. The number of ham producers has been declining; some have retired and simply not been replaced. Wrap in fresh paper and hold at 50 F for two weeks. The third cure treatment had some portion of salt not adsorbed, the excess was brushed off. After two more additional weeks, I cold smoked the ham overnight for 12 hours using corn cob pellets. 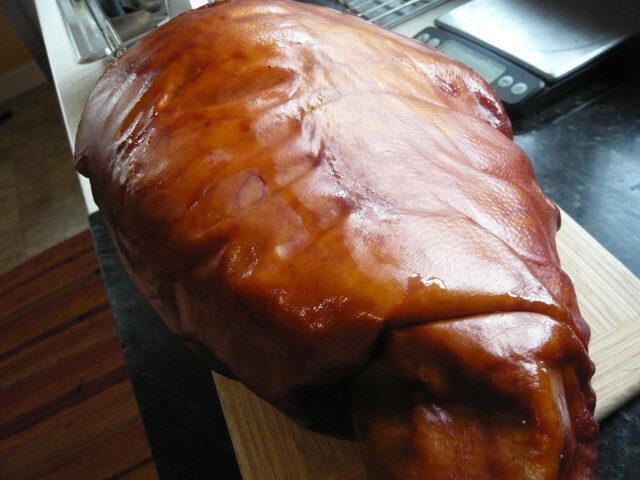 After 2 more months, I cold smoked the ham overnight for 12 hours using corn cob pellets. After 1 more month, I gave it its last cold smoking. The weight loss was 19 %. 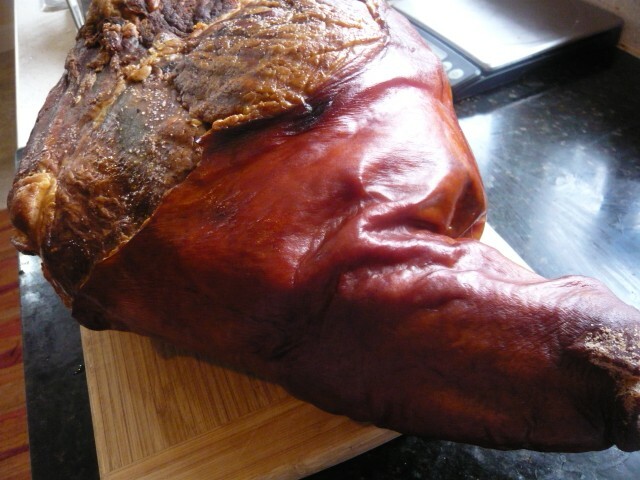 The ham had a beautiful copper color and an intense smoke smell. 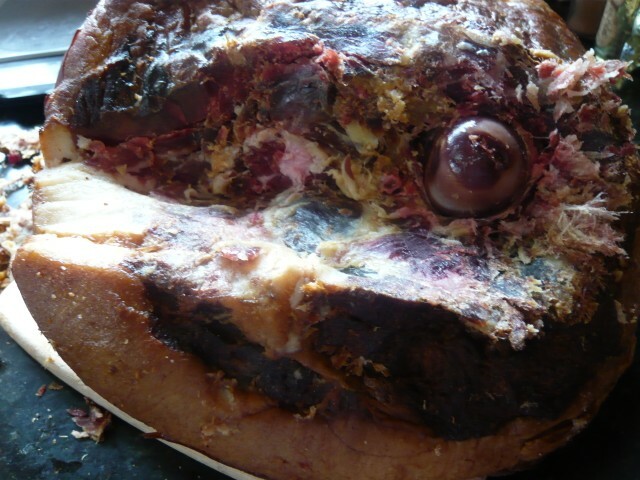 The ham was aged in a fridge at 50-55 F for a total of 18 months with a weight loss of 28.2 %. 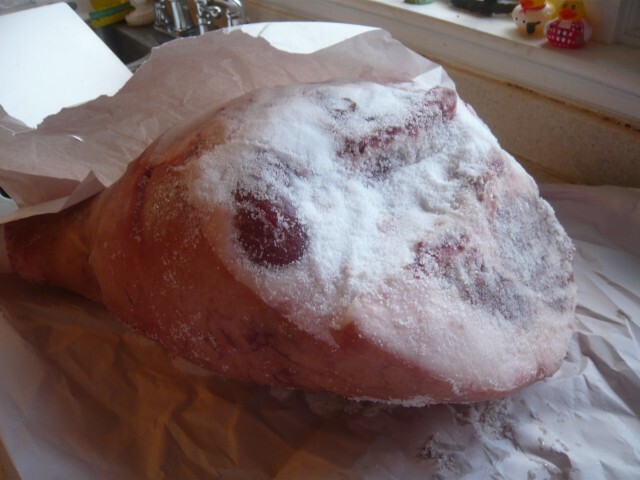 Would this be what is considered a Xmas Ham ? Do you need to cook it or eat as is? I've had it both ways for dinner tonight. 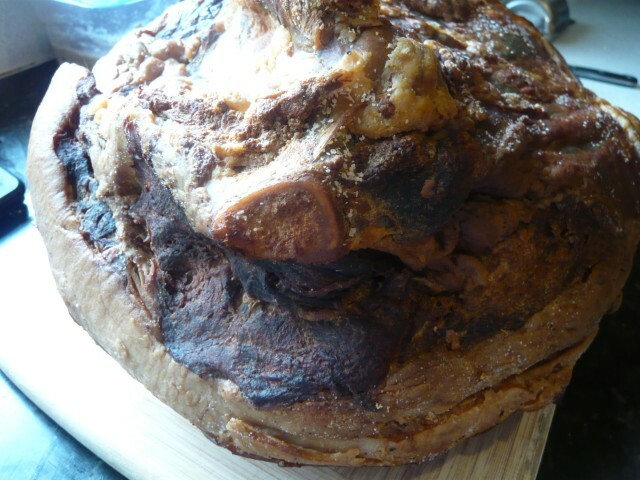 It is different from the hams of Europe but quality meat and time has made it special.